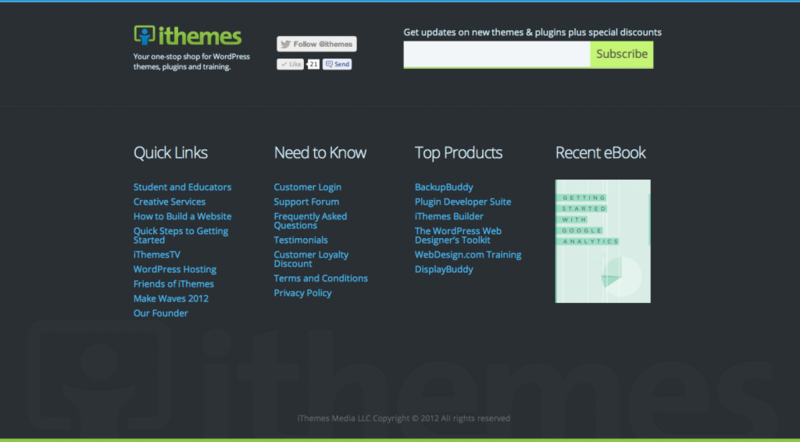 I’ve worked for iThemes since January 2010. Since I started working here, I’ve been making updates to our site – designing sidebar ads, new sales pages, adding custom post types for our content and products, and making little tweaks everywhere. But after 2 years of piling more and more into the old theme, we knew we had to bite the bullet and do a full site overhaul and redesign. So a few months ago, Cory gave the green light for Ty and I to start working on what a redesigned iThemes would look like. After loads of revisions and decisions we started on the development in June, and since then, I’ve been Photoshopping every possible page layout and product sales page for the site and slowly passing them over to Ty for front-end development. This was my first design with responsiveness in mind from the start, so it was definitely a challenge. Interactions that you take for granted on desktop have to take on a whole new strategy for mobile – no more wide info-packed tables, no relying on image sizes or fixed font proportions. Every design decision has to pass through the “how will this work on a phone?” test. So I’m glad Ty was doing the dev on this one. He’s a lightning-fast coder and has done stuff on the site I would never have thought possible. It was fun to get to stretch the design beyond my own coding capabilities, and imagine what I would want, not what I think I could build. So go check out the site! We’re still making a lot of responsive adjustments, so if you’re on a phone or tablet, bear with us a couple days. But we hope this makes it easier and more pleasant for customers to use the site and understand our products better at iThemes. 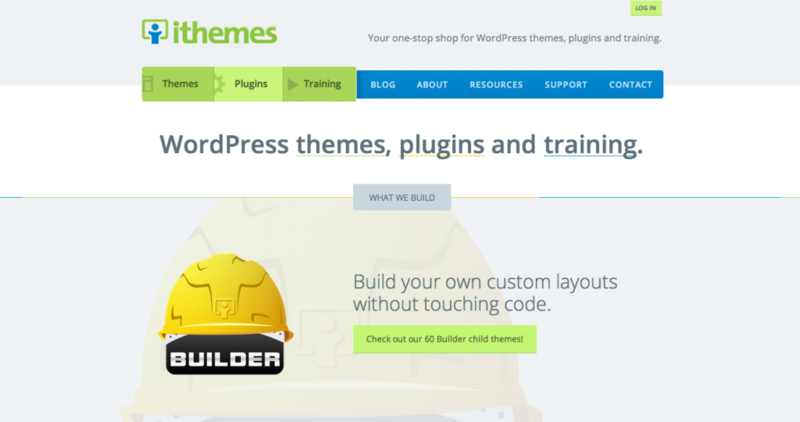 Thanks to Ty and Koop for the theme development. Thanks to Cory for trusting me to work on this enormous project. And thanks to the rest of the iThemes team for helping make the switch yesterday in the wee hours and building the awesome products that we used to build the site and that this new design will help sell. 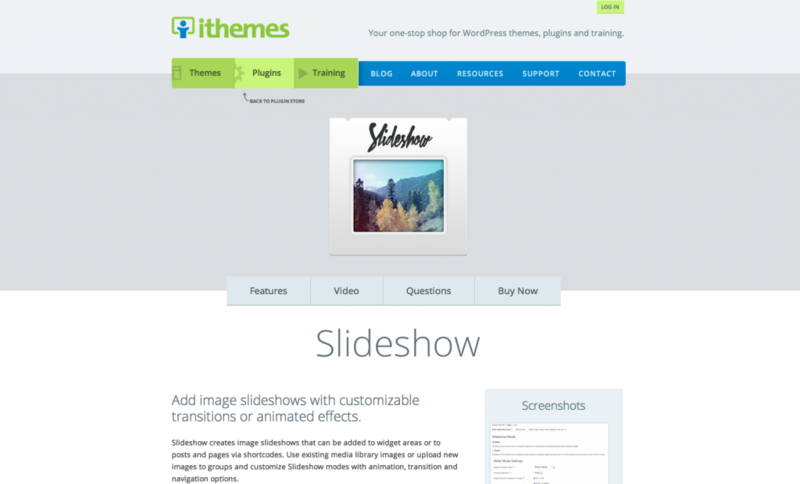 New plugin sales pages with all content created using the new Products custom post type.